We are nearing the completion of our Showroom Remodeling and to launch our new look we are having a re-opening event on July 26! 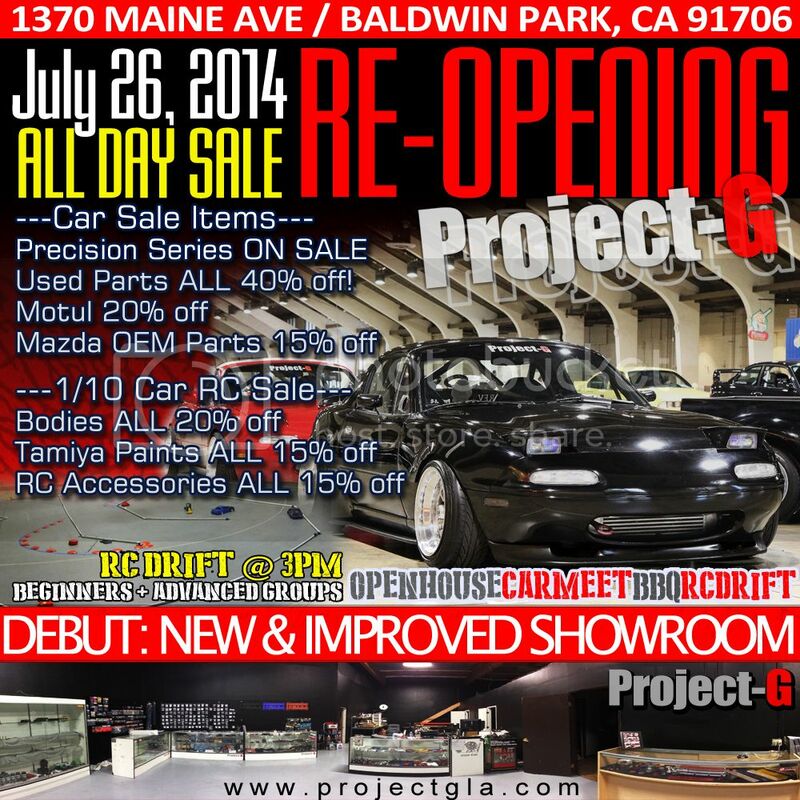 There will be BBQ, Special One-Day Sales, RC Drifting, and a Carmeet. So come on out and help us celebrate the next step. Hope to see you all there!!! someone go and grab me a gwing. and by "go and grab" i meant - steal one and ship it to me. do the same for the black dude too! Just wanted to give a big thanks to everyone who came out to our Re-Opening and sale for our new showroom this past caturday. We were surprised at the turnout and show of support from all of you, especially since it was on pretty short notice and really lacked our typical promotion of this event. It was really down to the wire for us, with a few group buy's shipments hitting all at the same time, and the move taking longer than expected, and finally the previous tenants leaving us with a less than agreed upon condition unit, we were really hustling for the past 24 days. We were glad to see quite a few of you were able to take advantage of our in store specials and joined us for some food and drinks for our official launch of the next phase of Project-G.
Once again, thanks for your ongoing support! Project-G really does have the best customers/supporters! **Sorry phillyb™, it's not looking like we are missing a G-Wing after caturday.